We are family teamwork. We owned one vehicle for each driver. Some of our team 20 years experience of the road in Cambodia, our team not good in English but we know the job, safety and smooth reliable, good persons then I can do cheaper option. 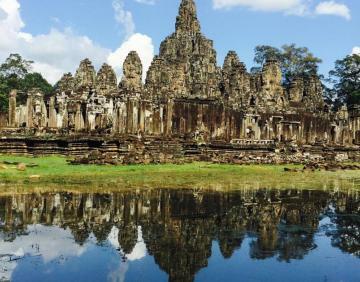 Let be your private English speaking driver or tour guide bring to see the real Cambodia. We are the recourse of driving cities shuttle and for adventure tours. I Am Cambodia Taxi Team an expert, experience, sampling to see the real Cambodia for gaining authentically unforgettable experienced with the personal touch. Customers can book us by Emails, Text, Messages, Whatup, WeChat, At the time of booking clients provide the exact, address, hotels names, date, time, Airport Names, Cities. We will reply every one hour of work or as soon as possible! The family team taxi services have only private vehicles, SUV Car, Minivan. Please let us know your group size informations and other may have. We are 4 people need SUV 5seats or Minivans. We a big group of families does need the Minivan 10-12 -15 seats. I am alone I need only sedan cheaper car. I need only driver safe, smooth, the reliable driver from hotels to points. HOW DO WE MEET AT HOTELS? We meet you in the lobby of your hotels carry your name on board, or leave messages with receptionists of your hotels with you at vehicles. Some hotels there is no Parking so drivers must park somewhere to avoid from traffics or narrow roads. HOW TO MEET DRIVER AT AIRPORTS? We carry your name on board a sight with Pepper with customers at Arrival Halls after immigration exit door Where drivers and tour guide show the name of passengers.